Another foreign order has been announced yesterday by Russian state-owned Rostovondon. This time it’s the North African country of Algeria. It has not been released as to how many the Algerian armed forces want, but that will likely be made public within the next month. 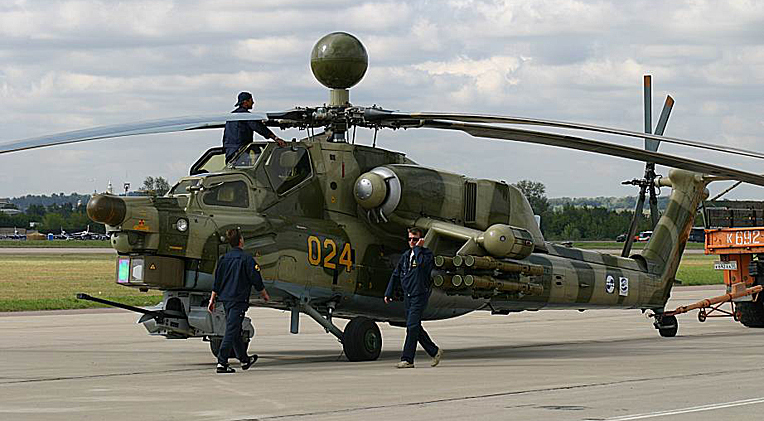 Algeria is familiar with Russian helicopters with older versions of the Mi-24 Hind. Expect more orders. Russian helicopter manufacturer Rostvertol says it is engaged in talks with Algeria regarding the sale of Mi-28NE attack helicopters. Rostvertol, the attack helicopter arm of the state-owned Russian Helicopters holding company, made the announcement yesterday. “A commercial proposal has already been sent [to Algeria] and this year we will start discussions. We hope to sign a contract for delivery in the 2012-17 timeframe,” said Rosvertol general director Boris Slyusar. Rostvertol has not indicated how many aircraft Algeria is interested in purchasing, nor the price they would pay. To date, only the Russian armed forces and Venezuela have ordered the Mi-28 ‘Havoc’, which is being introduced into Russian service. Venezuela is yet to receive its ten helicopters, which it ordered last year. Meanwhile, India is showing interest in acquiring either Mi-28s or Boeing AH-64 Apaches in a 22 helicopter deal. French Gazelle and Tigre attack choppers are currently performing operations in Libya while the UK deploys Apaches. It has been reported that ex-SAS British personnel are assisting NATO forces in Libya. Now that the UK and France have deployed attack helicopters to the region, they will likely be calling the scene from the ground and directing information to the pilots above. Blackwater gave the hired contractors a bad reputation in Iraq during a civilian shooting in 2007. But nevertheless, hired professionals don’t carry the political baggage that goes with deploying government forces and the men hired to do the job have years of combat experience, something that takes a long time to teach. Yemeni warplanes carry out airstrikes on a southern town seized by hundreds of Islamic militants over the weekend as the political crisis surrounding the embattled president descends into more bloodshed. Military units loyal to him mount a fierce assault on the southern city of Taiz, which has been a hotbed of anti-government protests since the start of the uprising in early February. A doctor at a field hospital set up in the city’s main protest camp said at least 20 demonstrators were killed. President Ali Abdullah Saleh, who has clung to power despite months of daily protests, defections by key allies and international pressure to go, has repeatedly warned that Islamic militants and al-Qaida would seize control of the country if he steps down. At the same time, he has intensified a crackdown on protesters. Residents use automatic rifles and rocket-propelled grenades to repel advancing government troops in central Syria Monday, putting up a fierce fight for the first time in their two-month old revolt against President Bashar Assad’s autocratic regime. The armed resistance adds a new element to an already blurry situation and raises the possibility that the popular uprising that had so far taken the form of peaceful protests by unarmed demonstrators may escalate into a Libya-style armed conflict. Authorites claim dozens of soldiers and security officers have been killed during the 10-week protest. The death toll among demonstrators has topped 1,000. Moammar Gadhafi is ready for a truce to stop the fighting in his country, visiting South African president says after meeting the Libyan ruler, but he lists familiar Gadhafi conditions that have scuttled previous cease-fire efforts. The South African president. Jacob Zuma, says Gadhafi is ready to accept an African Union initiative for a cease-fire that would stop all hostilities, including NATO airstrikes in support of rebel forces. “He is ready to implement the road map,” Zuma says, and Gadhafi insists that “all Libyan be given a chance tp talk among themselves” to determine the country’s future. He does not say Gadhafi is ready to step down, which is the central demand of the rebels. Five Libyan army generals who defected from Moammar Gadhafi’s regime are appealing to fellow officers to join them in backing the rebels. A prominent Egyptian activist says he has been summoned for questioning by the country’s military rulers over comments criticizing their human rights record. Hossam el-Hamalawy, 33, says he was asked to appear before military prosecutors a day later over his remarks on a popular television program. On the program Thursday, el-Hamalawy said the head of the military police was responsible for reported human rights abuses. He says the TV presenter, Reem Maged, was also summoned for questioning. El-Hamalawy is among the best-known activists and bloggers in Egypt in recent years. He has kept a record of alleged human rights abuses by authorities. He was among the public faces of the popular revolution that forced former President Hosni Mubarak to step down on Feb.11. The Libyan Campaign has taken a step towards a more personal war. 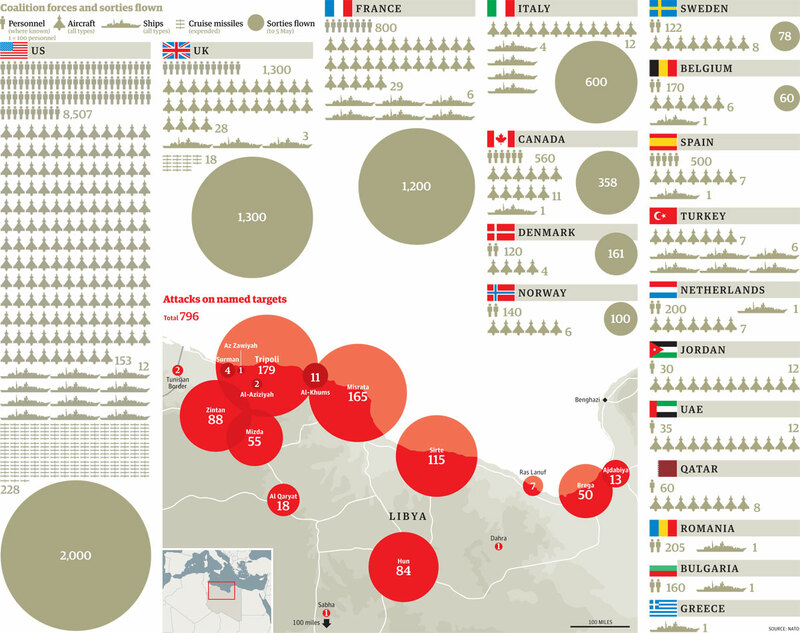 For the last two months, NATO has been launching cruise missiles and dropping precision bombs on Gaddafi’s defenses. Libyan rebels will now be receiving the tactical support they require. Yesterday, Britain and France acknowledged that they will deploy attack helicopters to help strike precision targets while minimizing civilian casualties. Having the helicopters will give NATO the ability to aquire and determine targets easier than previous methods. 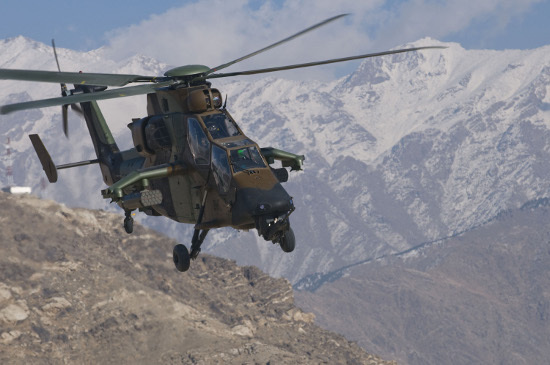 France will be using Tigre and Gazelle helicopters, while Britain will be using Apache’s. Limited US role in Libya?